Giggling and jumping in puddles of joy. Even cloudy days can be fun for your dolls with the Our Generation Brighten Up a Rainy Day deluxe outfit for 18-inch dolls! 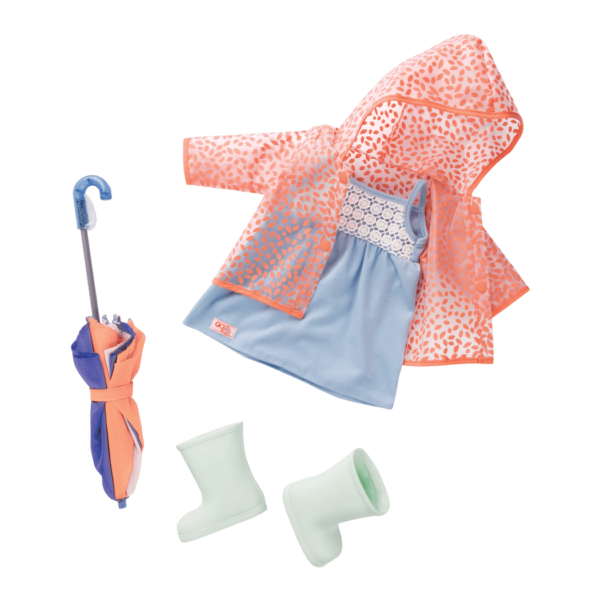 From jumping in puddles to taking a relaxing walk in the raindrops, this rainy-day outfit has your dolls covered! 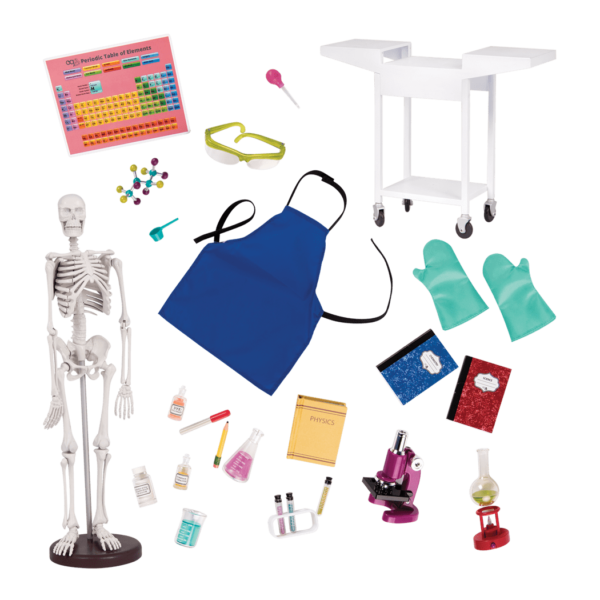 Rainy Day Fun Accessories for 18-inch Dolls! Make a splash, or stay high and dry – it’s up to you! The cheerful and transparent raincoat has a hood and a colorful orange polka dot pattern. The adorable blue sleeveless dress with crochet details on the bodice will help your dolls stay cool, even on a humid day. Dress your dolls in the pretty pale-green rainboots to keep their toes dry, even if their idea of fun is to jump in every puddle along the way! The miniature blue and orange umbrella opens and closes just like a real one. Any doll can feel better faster in this outfit! 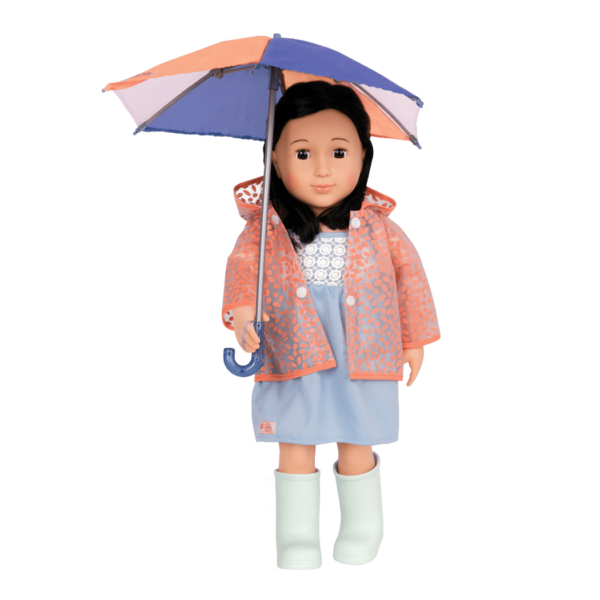 Have you met Suyin, the doll modelling the Brighten Up a Rainy Day outfit? She is a beautiful 18-inch doll with shoulder-length, straight, dark brown hair and brown eyes. She loves playing in the raindrops! 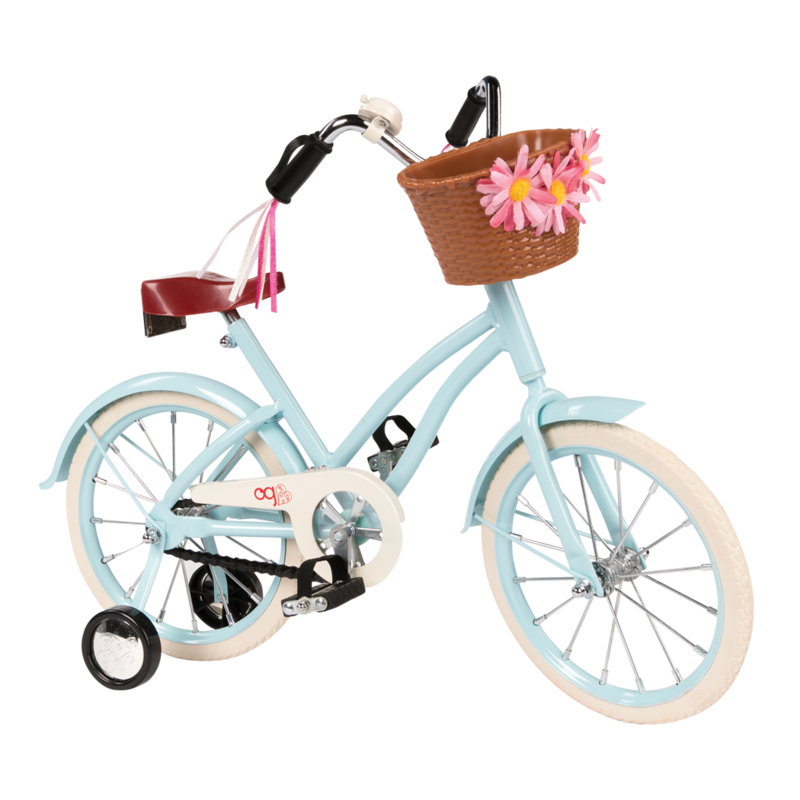 For a different summer fun look, check out the Hula Hooray outfit – it comes with a hula hoop for your doll!